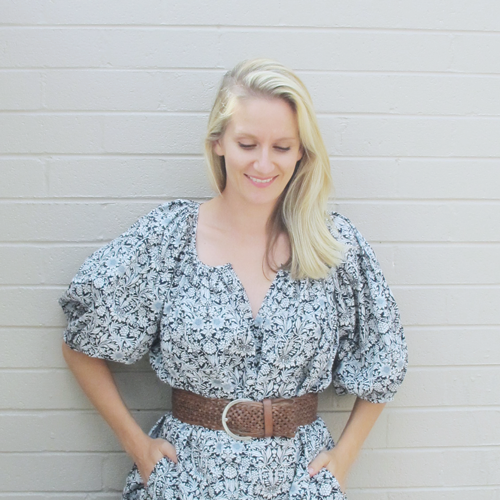 You've probably noticed I have a thing for miniaturising and upsizing things! 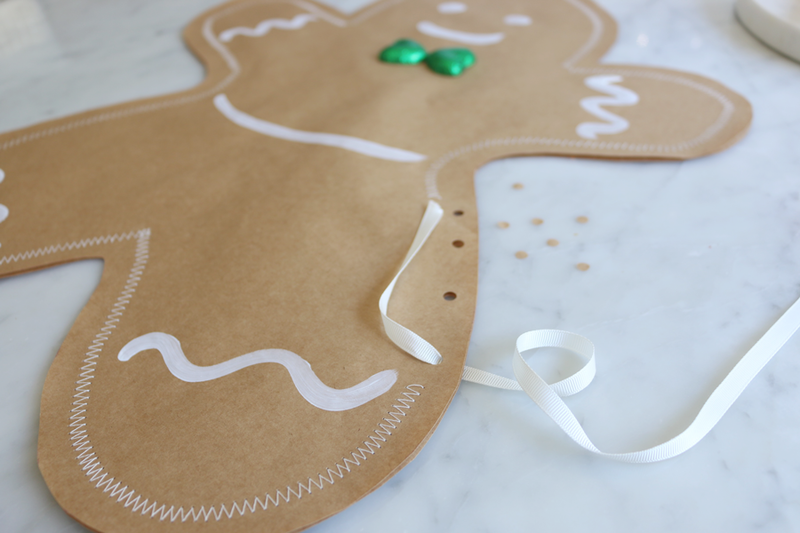 The overall effect of these giant gingerbread cookies is really fun. They are great for gifting a collection of little presents that you can put inside and tie up all together. 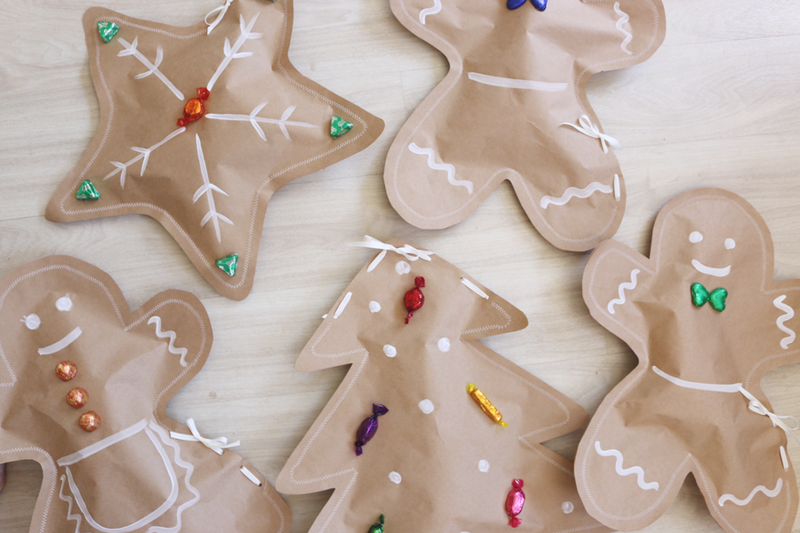 You don't need much in the way of supplies to make these. Though I do recommend finding heavy duty kraft paper at a packaging store or similar rather than using the stationery grade brown paper. It will be much more durable. 1. 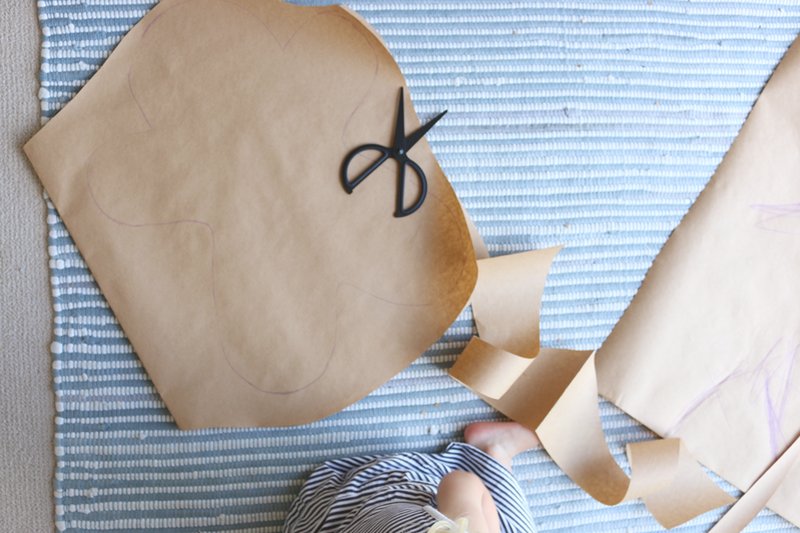 Create templates of the shapes you want to make. 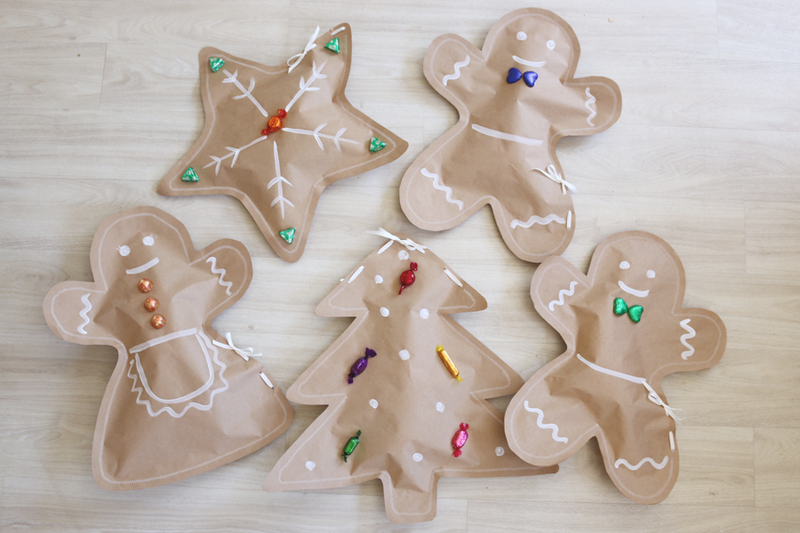 I made a gingerbread man and woman, tree and star. The easiest way to do this is to find clip art that you like and bring it up on a large screen TV. 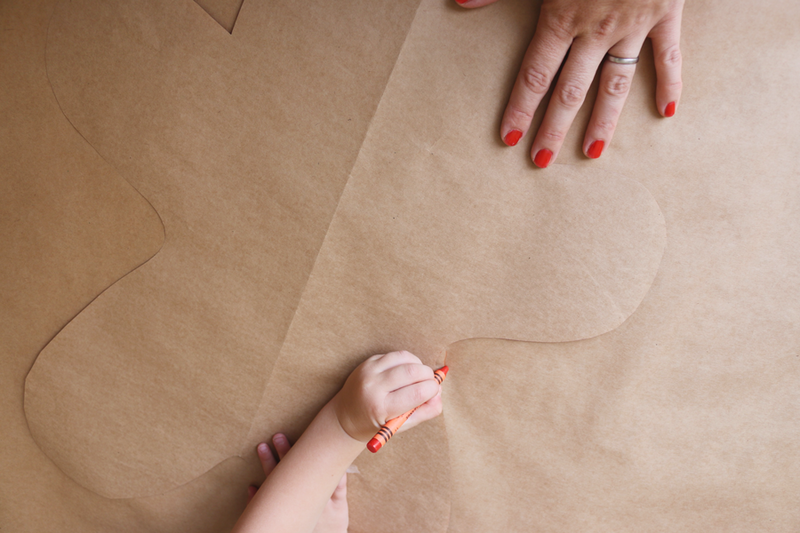 Put one sheet of paper over the screen and trace gently with a crayon. 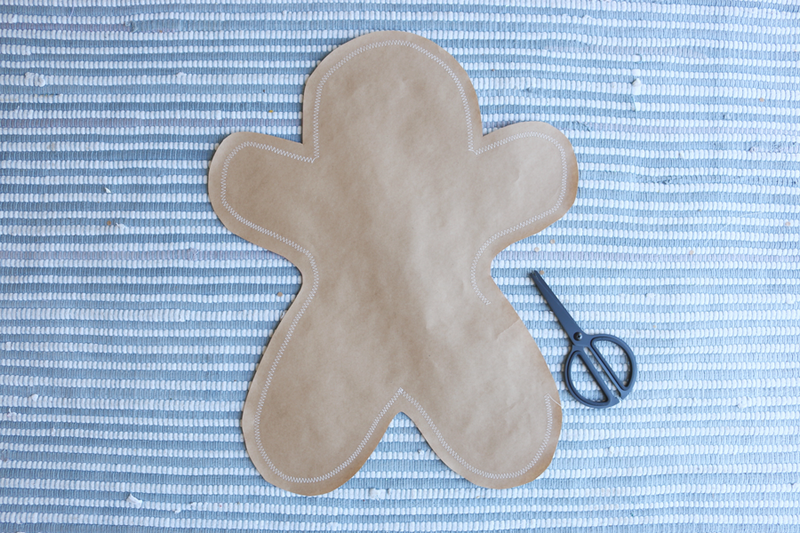 Fold in half and cut to get a symmetrical template. 2. 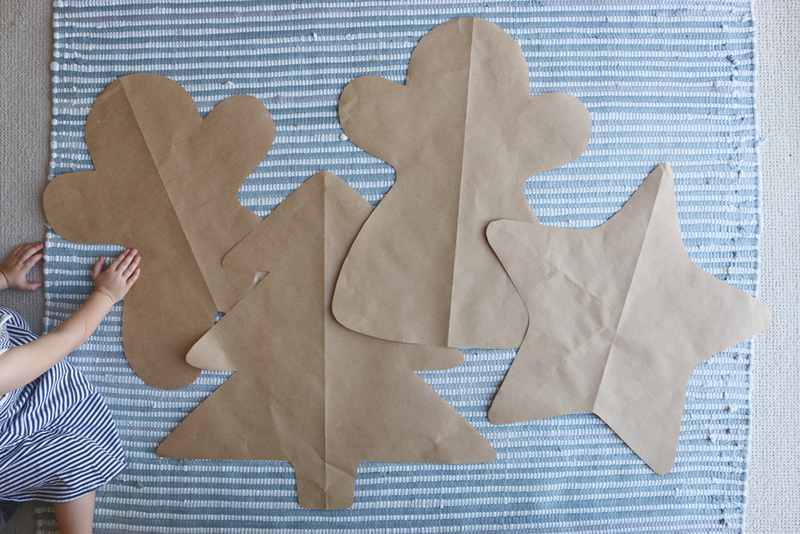 Take your heavy duty kraft paper, fold a piece in half then trace around your shape. 3. Loosely cut around the shape, leaving one side folded. This will keep it from sliding when you sew the two layers. 4. 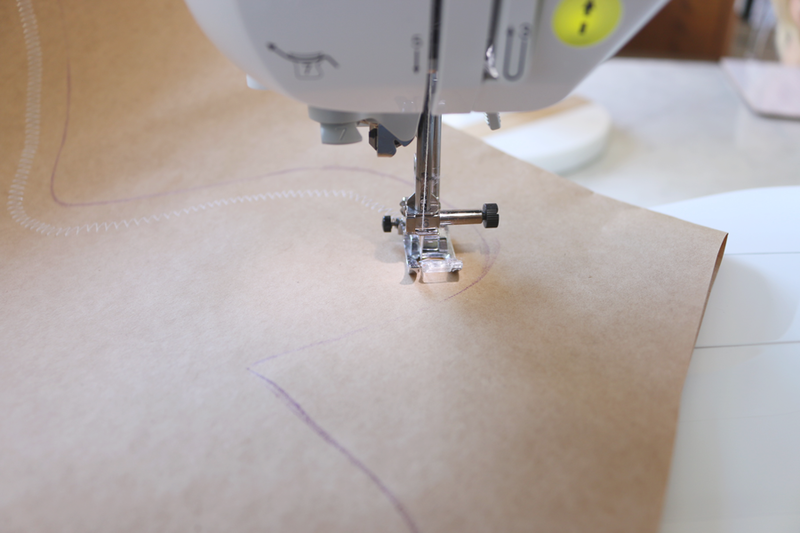 Using a zig zag stitch on your sewing machine, sew 2cm in from your traced line, leaving about 20cm or more opening on one side of the shape. Set your zig zag stitch so it is wide and and the stitches are close together. This will make the zig zag stitch more obvious, like a line of cookie icing. 5. Now cut the shape out properly along your crayon line. 6. 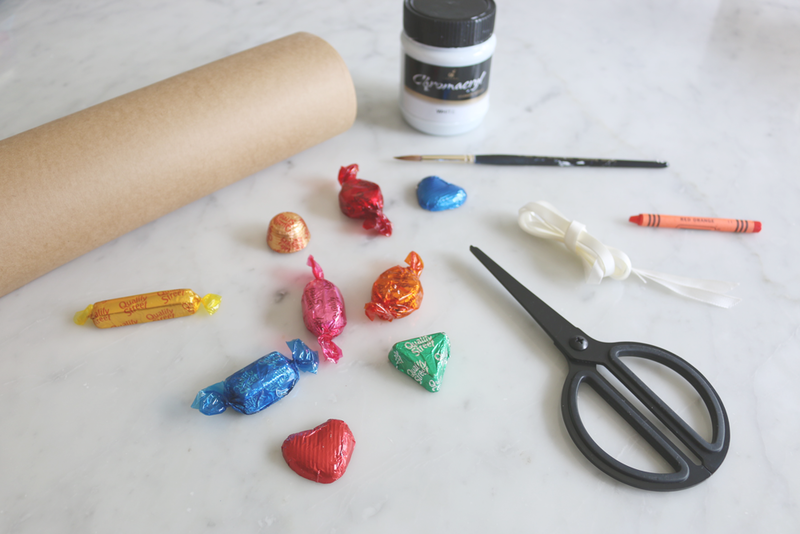 Stick your chocolates or lollies on. I used small pieces of sticky tape looped back onto themselves - poor woman's double-sided tape! 7. 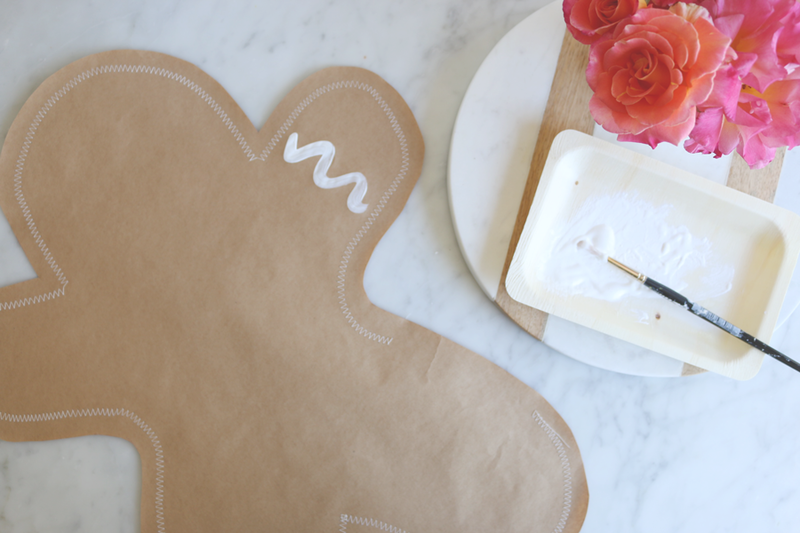 Paint the rest of your icing designs onto the shapes. 8. Use the hole punch to make holes are regular intervals along the opening and thread with ribbon to secure closed with your gifts inside. 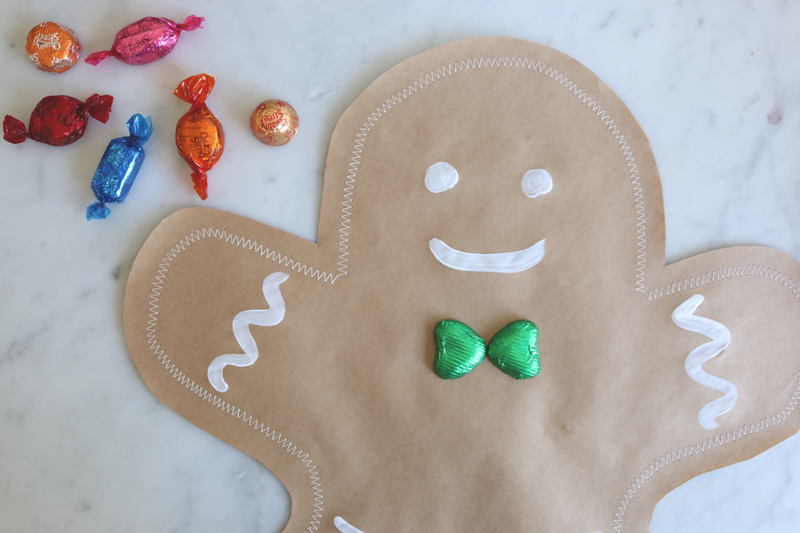 You can make these in any size. They would be great stuffed with peppermint bark and with guests names on them as part of table place settings. My kids love the giant sizes we made, they found the whole process really fascinating.